Family traditions help bring the story of family into focus. We are what we do. It was warm this year–above 30 degrees. A few years ago, it was 4 degrees below zero. I looked at the littlest boys skinny little arms and legs and wondered how long they could be exposed without freezing. They gamely went into the water, then could not stop crying at the pain they didn’t adequately imagine once they came out of the water. New Year’s Day has always been a little flat, so far as holidays go. Feasts on Thanksgiving and Christmas Eve are wonderful, but who needs another one on January 1? 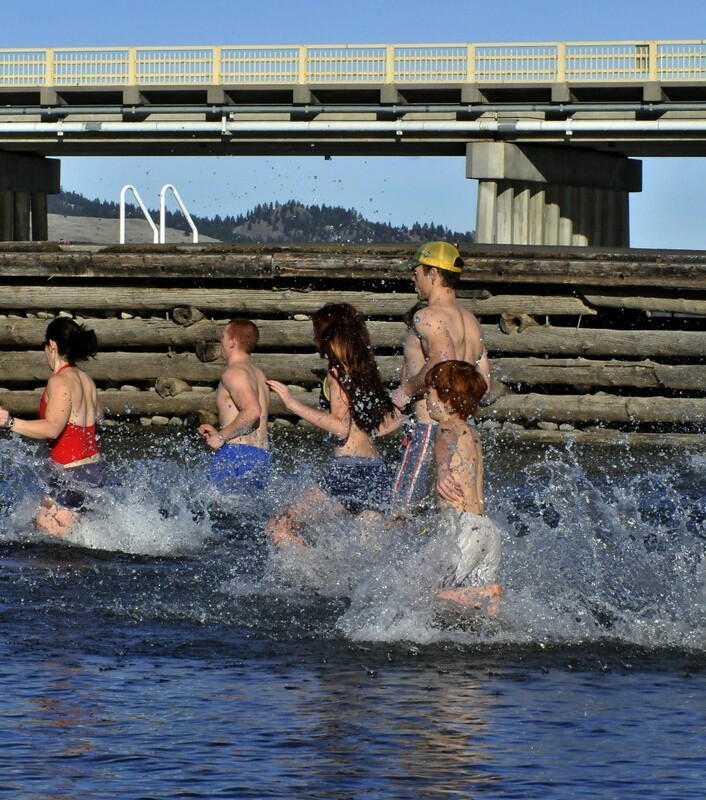 I don’t know how we decided the Polar Plunge at Flathead Lake was the right focus for the day. I think it was Michael. Fun seems not quite the right word, though there’s some of that. Traditions do many things. They commemorate various dates. They give reasons to be together. Inevitably, they reveal and teach to the younger ones the family’s values–even in ways we don’t articulate. Without recurring holidays, what would a year be?